The shoulder is the most mobile joints in the human body. It can make a wide range of motions and turns in any direction. Because the shoulder can move in several directions, it can dislocated forward (anterior shoulder dislocation), backward (posterior shoulder dislocation) or downward. Once a shoulder has dislocated in may become unstable and it is susceptible to repeat episodes. What happens when you dislocate your shoulder? It takes a strong force to put the head of the humerus out of place. Contact sports such as football, hockey or sports that may imply falls, such as volleyball, skiing, gymnastic. Some people have looser ligaments in their shoulders and this condition is just normal for their anatomy. 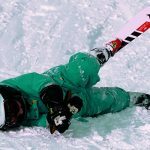 How do you know if your shoulder is dislocated? The diagnosis must be confirmed during a doctor examination. The orthopedic surgeon will inspect the shoulder and test looseness of its ligaments. 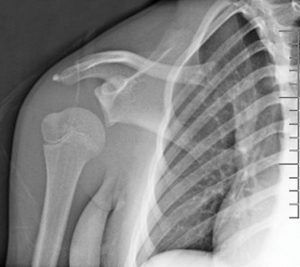 In most cases the shoulder dislocation is evident, anyway an X-ray of the shoulder joint is mandatory. Shoulder dislocation is first treated with a nonsurgical approach when possible. Reduction of the dislocated humeral head and maintenance in this position with a sling or a brace. Physical therapy to strengthen shoulder muscles after the healing time (4 weeks). The orthopedic surgeon may try some gentle manipulations to slide the shoulder bones into their proper position. There are different techniques depending on the types of dislocation. Surgical treatment may be needed in case of repeated dislocation or when shoulder joint and ligaments are weak. Surgery can be performed through arthroscopy or open surgery (obsolete). Arthroscopy is a minimally invasive surgery that makes use of a tiny camera. It is usually a day case procedure. 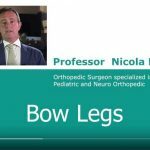 How Prof. Portinaro treats dislocated shoulder? Professor Portinaro, when surgery is needed, treats dislocated shoulder with arthroscopic approach: the broken capsule and ligaments are reconstructed. At the same time if the rotator cuff muscles are damaged they are fixed.